Apex Phillips power drive bits are manufactured using a proprietary steel and heat treat process that yields greater strength and a longer bit life. The cutting-edge machining process used to manufacture Apex Phillips power drive bits results in tighter tolerances, superior product consistency and a better and more consistent fit to fasteners leading to better torque transfer. Apex Phillips power drive bits are recognized as the industry leader in screwdriver tooling throughout the aviation industry as well as automotive, heavy industry or anywhere quality tooling products are required. If you have invested money in quality tools, you need to know that your power drive bits will deliver the performance you require of them. APEX manufactures power drive bits for the aerospace, automotive and other industries where reliability is key. Day in and day out, you will find Apex Phillips power drive bits hard at work in some of the worlds busiest manufacturing facilities. Apex Screwdriver Bit, #0 Phillips Head, 1/4" Hex Power Drive Shank, 1-15/16'' OAL. Apex Screwdriver Bit, #0 Phillips Head, 1/4" Hex Power Drive Shank, 2-3/4'' OAL. Apex Screwdriver Bit, #0 Phillips Head, 1/4" Hex Power Drive Shank, 3-1/2'' OAL. Apex Screwdriver Bit, #0 Phillips Head, 1/4" Hex Power Drive Shank, 6'' OAL. Apex Screwdriver Bit, #1 Phillips Head, 1/4" Hex Power Drive Shank, 1-15/16'' OAL. Apex Screwdriver Bit, #1 Phillips Head, 1/4" Hex Power Drive Shank, 1-15/16'' OAL, Intermediate Hardness. Apex Screwdriver Bit, #1 Phillips Head, 1/4" Hex Power Drive Shank, 1-15/16'' OAL, Regular Hardness. Apex Screwdriver Bit, #1 Phillips Head, 1/4" Hex Power Drive Shank, 2-3/4'' OAL. Apex Screwdriver Bit, #1 Phillips Head, 1/4" Hex Power Drive Shank, 3-1/2'' OAL. Apex Screwdriver Bit, #1 Phillips Head, 1/4" Hex Power Drive Shank, 6'' OAL. Apex Screwdriver Bit, #1 Phillips Head, 1/4" Hex Power Drive Shank, 2-3/4" OAL, Intermediate Hardness. Apex Screwdriver Bit, #1 Phillips Head, 1/4" Hex Power Drive Shank, 3-1/2'' OAL, Intermediate Hardness. Apex Screwdriver Bit, #1 Phillips Head, 1/4" Hex Power Drive Shank, 6'' OAL , Intermediate Hardness. Apex Screwdriver Bit, #2 Phillips Head, 1/4" Hex Power Drive Shank, 1-15/16'' OAL. Apex Screwdriver Bit, #2 Phillips Head, 1/4" Hex Power Drive Shank, OAL 1-15/16" OAL, Regular Hardness. Apex Screwdriver Bit, #2 Phillips Head, 1/4" Hex Power Drive Shank, Intermediate Hardness, 1-15/16'' OAL. 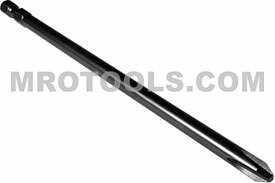 Apex Screwdriver Bit,#2 Phillips Head, 1/4" Hex Power Drive Shank, 2-3/4'' OAL, Intermediate Hardness. Apex Screwdriver Bit,#2 Phillips Head, 1/4" Hex Power Drive Shank, 2-3/4'' OAL, Regular Hardness. Apex Screwdriver Bit,#2 Phillips Head, 1/4" Hex Power Drive Shank, 2-3/4'' OAL. Apex Screwdriver Bit, #2 Phillips Head, 1/4" Hex Power Drive Shank, 3-1/2'' OAL. Apex Screwdriver Bit, #2 Phillips Head, 1/4" Hex Power Drive Shank, 3-1/2'' OAL, Intermediate Hardness. Apex Screwdriver Bit, #2 Phillips Head, 1/4" Hex Power Drive Shank, 3-1/2'' OAL, Regular Hardness. Apex Screwdriver Bit, #2 Phillips Head, 1/4" Hex Power Drive Shank, 6'' OAL. Apex Screwdriver Bit, #2 Phillips Head, 1/4" Hex Power Drive Shank, 6'' OAL, Regular Hardness. 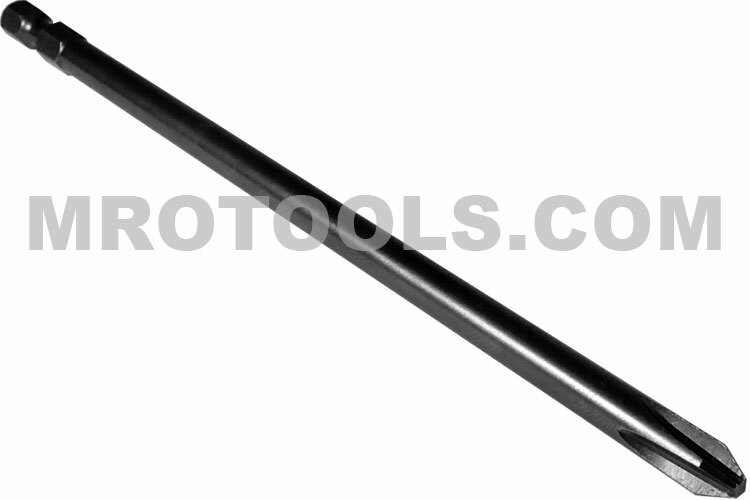 Apex Screwdriver Bit, #2 Phillips Head, 1/4" Hex Power Drive Shank, Shallow Recess Apex Screwdriver Bit 1 15/16'' OAL. Apex Screwdriver Bit, #27 Phillips Head, 1/4" Hex Power Drive Shank, 2-3/4'' OAL. Apex Screwdriver Bit, #27 Phillips Head, 1/4" Hex Power Drive Shank, 3-1/2'' OAL. Apex Screwdriver Bit, #27 Phillips Head, 1/4" Hex Power Drive Shank, 6'' OAL. Apex Screwdriver Bit, #2 Phillips Head, 1/4" Hex Power Drive Shank, 6'' OAL, Shallow Recess Tip. Apex Screwdriver Bit, #3 Phillips Head, 1/4" Hex Power Drive Shank, 1-15/16'' OAL. Apex Screwdriver Bit, #3 Phillips Head, 1/4" Hex Power Drive Shank, 1-15/16'' OAL, Intermediate Hardness. Apex Screwdriver Bit, #3 Phillips Head, 1/4" Hex Power Drive Shank, 2-3/4'' OAL. Apex Screwdriver Bit, #3 Phillips Head, 1/4" Hex Power Drive Shank. Apex Screwdriver Bit, #3 Phillips Head, 1/4" Hex Power Drive Shank, 3-1/2'' OAL. Apex Screwdriver Bit, #3 Phillips Head, 1/4" Hex Power Drive Shank, 3-1/2'' OAL, Intermediate Hardness. Apex Screwdriver Bit, #3 Phillips Head, 1/4" Hex Power Drive Shank, 6'' OAL. Apex Screwdriver Bit, #3 Phillips Head, 1/4" Hex Power Drive Shank, 6'' OAL, Intermediate Hardness. Apex Screwdriver Bit, #4 Phillips Head, 1/4" Hex Power Drive Shank, 1-15/16'' OAL.